For most people, the end of winter is a blessing. For skiing devotees, not so much. With the winter season almost behind us, it’s time to look ahead and start planning something exciting to look forward to during the warmer months. Despite being late in the season, there are still plenty of ski resorts with good snow conditions to visit over Easter. 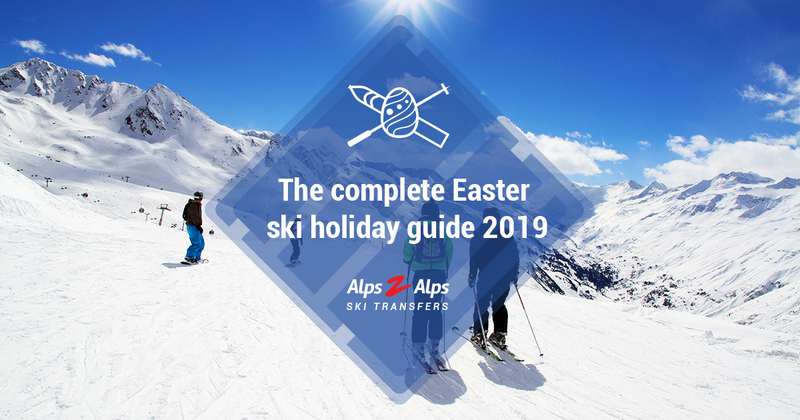 We’ve gathered some of the best ski resorts for Easter skiing, along with some of the reasons that make Easter a surprisingly clever choice for keen skiers. Here are Alps2Alps’ recommendations for the best resorts for snow sure Easter skiing. First thing first, when is Easter? Easter Sunday falls on the 21st April this year. 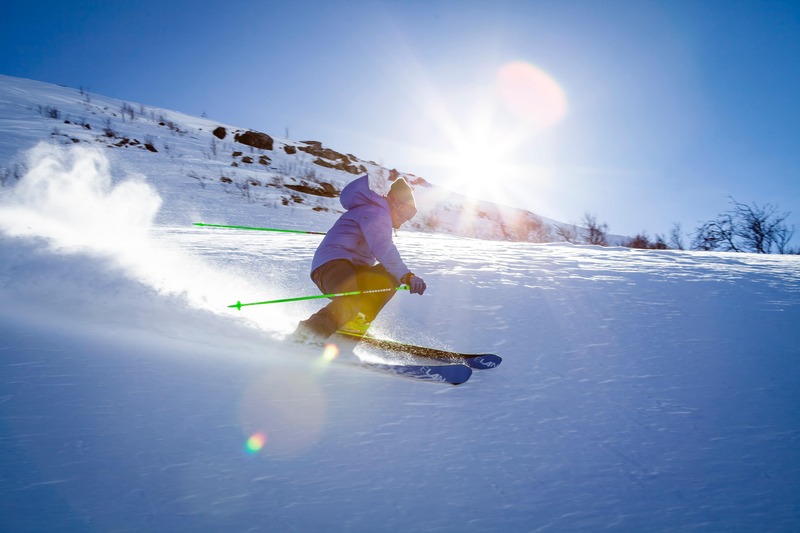 Easter holidays can vary from school to school, but the long weekend starting on the 19th gives you a generous window for a short skiing break. Where Can You Ski at Easter? There are plenty of European ski resorts to choose from which still offer great skiing conditions at this time of year. However, be sure to opt for a snow sure resort with a high altitude to be on the safe side. Taking pride of place as the highest ski resort in Europe, you’ll be hard pressed to find somewhere with more reliable snow cover. Val Thorens in France sits loftily at 2300 m and is part of the Three Valleys, the world’s largest connected ski area. Excellent nursery slopes and a beginner-friendly magic carpet lift makes this resort perfect for new skiers and younger visitors. Intermediates can enjoy leisurely runs to the neighbouring resorts of Les Menuires and St Martin de Belleville. Impressive alpine scenery and a lively après ski scene guarantee a great time skiing in Val Thorens. The season doesn’t end until early May and transfer times from Chambery airport are as short as 1 hour and 40 minutes. North facing slopes and an altitude of 2000 m positions La Plagne, in the Paradiski ski area as another fantastic Easter option. Intermediates and advanced skiers won’t get bored exploring the red and blacks, and the slopes tend to be less populated during low season. The purpose-built resort has all the modern conveniences you’ll need for a fuss-free trip. Well known for being a family-friendly resort, La Plagne offers numerous, quality ski schools, a kindergarten and a jam-packed events program. A reliable snow record establishes St. Anton in Austria as a safe bet for an Easter skiing getaway. Famed for its legendary nightlife and off-piste terrain, St. Anton is a wilder option for those who aren’t afraid of a late night. Challenging runs attract adrenaline junkies who stop at the Mooserwirt bar to fuel up on beer and Jägermeister. That’s not to say families won’t have a good time here. The extensive Arlberg ski area has plenty on offer for all abilities and the village is full of rustic Austrian charm. The resort of Andermatt occupies an optimal Northern position high up in the Swiss Alps which guarantees snow when other, nearby resorts are lacking. Expert skiers will enjoy pounding the black runs and exploring off-piste routes. For families, thrilling toboggan rides and wandering through the traditional, picturesque village make for pleasing daytime activities. There’s also a children’s snow park for little ones to experiment in. A period of expansion sees more lifts and varied runs being developed at the resort. A transfer from Zurich airport takes around 2 hours and 20 minutes and the resort stays open until mid-May. 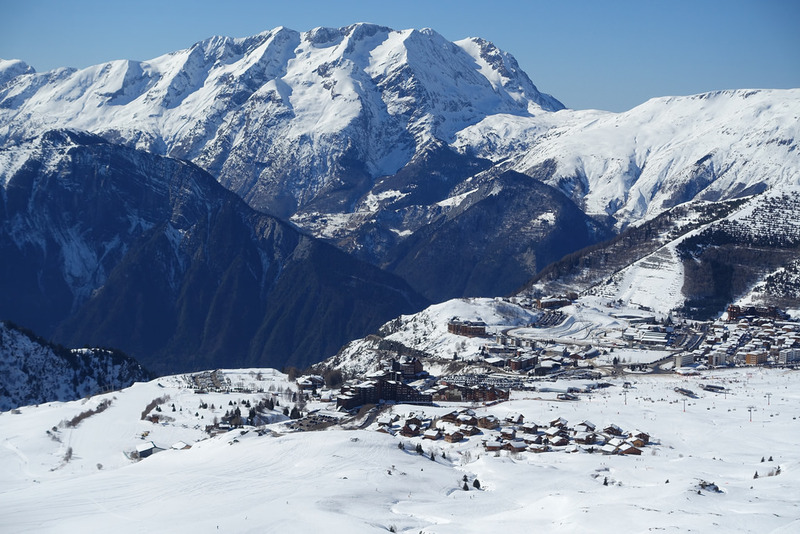 Thanks to the lifts built on the resort’s glacier, skiing in Alpe d’Huez during springtime is now an option. Access to the highest ski lifts are open until the end of April. Top-quality snow cannons are on hand as a back-up and sunny, south facing slopes mean you’ll spot skiers gliding around in T-shirts! Alpe d’Huez isn’t nicknamed ‘Island of the sun’ for nothing! Family-friendly activities are arranged at the resort, including a giant Easter egg hunt. For those looking for a chilled out Easter break, Obergurgl in Austria is just the place. As Austria’s most snow sure resort, Obergurgl enjoys an unusually long ski season. Beginners will feel comfortable testing the water in the smaller scale ski area, while intermediates can branch out into off-piste territory. The appeal of this resort is the low-key, traditional atmosphere and pretty architecture. A far cry from the likes of St. Anton, Obergurgl is for relaxing and recharging, rather than partying into the night. Although Easter isn’t the most popular time to go skiing, the school holidays mean some of the more family-friendly resorts can get booked up. However, booking before January can be risky as snow cover can vary. February is the perfect time to secure your plans as you have a better picture of what the weather will look like in your chosen resort. Why Choose an Easter Ski Trip? Easter is a great excuse for a spring skiing holiday. The kids are off school, there’s a hint of warmth in the air and blue skies and fresh snow make for an exhilarating skiing experience. If you’re planning a family ski trip, your time away will be dictated by school holiday dates. Although February half term offers the most reliable snow cover, this benefit draws massive crowds to the best European ski resorts. Fine, if you don’t mind queuing for the ski lift and rubbing elbows on the slopes. If you’re looking for a quieter holiday, the Easter break lies outside of peak season, meaning peaceful slopes and shorter queues. One of the great things about skiing at this time of year is the likelihood of blue skies and some much-needed sun! Strip off a few layers and enjoy whizzing down the slopes, free from bulky jackets and scarves. Longer daylight hours mean more time on the slopes! Instead of getting up at the crack of dawn, a more leisurely approach can be taken to Easter skiing. Ski lifts are open longer so you can make the most of your lift pass. Later starts are especially important when trying to get youngsters up and ready for the day! As Easter is outside of peak ski season, there are great Easter ski deals to be had. Lower prices for ski chalets, ski and snowboard lessons and travel are good news for those on a budget. Even ski transfers are cheaper when you opt to travel off peak! Alps2Alps offer loads of discounts when travelling off season. You can even cut costs by up to 50% by travelling midweek! An easy way to make serious savings. The Alps2Alps ski transfer app gives customers access to the latest deals and offers, as well as allowing you to track your driver’s route in real time. Another benefit to skiing at Easter is reduced travel times. The winter months can sometimes bring heavy snow leading to traffic build-ups and travel hazards, making it more difficult to reach your resort. Clear roads and smaller crowds mean faster transfer times. Possibly the best thing about an Easter ski trip is the savings you can make! We’ve already spoken about cheap Easter ski holiday deals, but there are other ways to make your ski holiday more affordable. Renting ski gear is a lot easier than marching through the airport laden with bags and bulky equipment. It’s also a lot cheaper. If you only ski once a year, or you’re relatively new to skiing, renting usually works out as the more affordable option. With renting, you can pick up your skis on the way to your resort, saving a lot of time and hassle. And with Alps2Alps, kids’ ski rental is free with a full paying adult! Instead of deciphering bus timetables or splashing out on expensive taxi fares, a ski transfer to your resort is the far easier option. Get the best deals and biggest savings by travelling off peak with Alps2Alps. Now you’re primed and ready with all the information you need for a memorable Easter skiing holiday, it’s time to start booking. Arrange your Alps2Alps ski transfer today for a professional, door-to-door service at seriously competitive prices.